Wikimedia Israel (Hebrew: ויקימדיה ישראל, Arabic: ويكيميديا إسرائيل) is the Wikimedia chapter devoted to promoting Wikimedia projects and other projects of free content and access to knowledge in Israel. It was founded in 2007. See the English Wikipedia article and the category on Wikimedia Commons for more information. Postal address: Wikimedia Israel, 7 Carlebach St., PO Box 51875, Tel Aviv-Yafo 6713211, ISRAEL. Wikimedia Israel works mainly with Hebrew- and Arabic-speaking communities and has workers who can communicate in both languages, as well as English. Outreach and instructional materials are provided in Hebrew, Arabic and also in English. Reports, plans and financial information are provided in Hebrew, and, if relevant to the global Wikimedia community, also in English. Wikimedia Israel has also been supporting free-content initiatives in other languages spoken in Israel (such as Yiddish, Ladino, Adyghe, Armenian and others). Note: In the following link you may find details of some past initiatives and discontinued projects. Every few months, the local Wikimedian community is invited to meet face-to-face in order to strengthen ties among Wikimedians and exchange ideas, to welcome key figures in the global Wikimedian community (e.g. the meeting with Jimmy Wales in 2015) or to celebrate Wikimedian occasions (such as Wikipedia's anniversary). Editors of Wikimedia projects meet at Wikimedia Israel's HQ in order to learn about new editing tools or hear talks delivered by one of the editors about her/his field of expertise. These meetings often result in new articles or article expansion on the Hebrew Wikipedia and other projects. Special meetings for woman editors are part of the endeavor to enhance gender equality on Wikimedia projects. These meetings typically include a talk about women in a certain field of science, technology, art etc. The goal is to increase the number of woman editors and to encourage better representation of women in Wikipedia articles and other Wikimedia projects. Some meetings were held in collaboration with the Association for Research of Arts and Gender. On the occasion of the International Women's Day (8 March 2018), Wikimedia Israel joined forces with the Swedish Embassy in Tel Aviv to organize a public editing workshop for women (and men) of all Israeli sectors and communities. The workshop was attended by 28 editors, who edited 18 articles, mainly biographies of women in Hebrew and Arabic, and by the Swedish Ambassador, Mr. Magnus Hellgren. These meetups bring experienced Wikimedian editors together and often result in many new articles on various projects. During the fall of 2018, Wikimedia Israel and the Israel Internet Society held a two-session workshop on how to use and edit Wikidata in an attempt to increase awareness to the project and build a local Wikidata community. More than 20 editors attended the workshop, which is planned to continue during 2019. The purpose of writing contests is to attract skilled editors with professional or thorough knowledge in a certain field and encourage them to add new well-structured articles to the Hebrew Wikipedia. The contests are organized in cooperation with academic institution or professional organizations and companies. The writers of the winning entries receive prizes ranging from ILS 500 to ILS 5,000. Several dozens of new articles are usually added to the Hebrew Wikipedia in a single contest. Recent examples are listed below. Physiwiki - Writing contests of articles about Physics. Two contests of this kind have been held so far in 2009 and 2014 with the cooperation of the Department of Physics and the Faculty of Engineering at the Bar Ilan University and the The Israel Physical Society. Statistipedia - A writing contest of articles about statistics. It was held in 2015 with the cooperation of the Israel Statistical Association, the Tel Aviv University's School of Mathematical Sciences and Istra LLC. Wiktionary editing course - In 2015, in order to support the Hebrew Wiktionary project, a special lexicography course was opened with the help of the Academy of the Hebrew Language. This course has put the Hebrew Wiktionary project back on track after a significant slowdown in its expansion. Wikimedia Israel adopted the worldwide 1Lib1Ref (One Librarian - One Reference) project, which encourages librarians to dedicate a few minutes every week (or even every month) to add a source reference to an unsourced fact they read on Wikipedia. The local version of the project included several workshops for librarians in Hebrew- and Arabic-language libraries throughout the country, including the National Library of Israel. The workshops improve the librarians' acquaintance with Wikipedia, especially their editing skills, and make them a sort of "WikiGnomes", who constantly refine its content. November 2018 saw the successful end of Wikimedia Israel’s long-fought battle to release historical images to the public domain. Having consulted several lawyers who specialize in this field, and using specially designed crawlers, Wikimedia Israel was able to extract some 28-thousand copyright-free images from Israeli public archives, remove the watermarks embedded in some of them, and upload them onto Wikimedia Commons (see here, here, here and here) to make them freely available in Israel and worldwide. This initiative addresses the need for more free-licensed portraits of well known Israeli persons. Wikimedians look for articles about Israeli living public figures on the Hebrew Wikipedia and contact these persons in order to take their pictures. The images are then published under a free license on Wikimedia Commons and embedded in the relevant articles. Elef Milim ("a thousand words" in Hebrew) is a long-standing project (started in May 2007) that brings together Israeli Wikimedians, who go on short journeys across the country and take pictures of sites, buildings and landscape, with the ultimate goal of enriching the collection of free-content images available on Wikimedia projects. Wiki Loves Monuments Israel - Wikimedia Israel has joined the global initiative and organizes an annual photography contest of local monuments, sites and landscape, in order to increase the availability of high-quality free-licensed images and, consequently, promote the preservation of these monuments and sites and the knowledge about them. The project includes guided tours in heritage sites across the country and professional photography workshops. The competition is organized in cooperation with several local institutes, among them the Council for Conservation of Heritage Sites in Israel, Israel Antiquities Authority, the World Jewish Heritage Fund and the Galitz Photography School in Ramat Gan. Wikimedia Israel and the National Library of Israel have initiated several digitizing projects of non-copyrighted collections held at the library in Jerusalem. Wikimedians are gathered at the library on specific occasions and, with the assistance of the librarians, scan images, book covers and pages, maps, posters and other publications. They then upload them to Wikimedia Commons and embed them in Wikipedia articles. 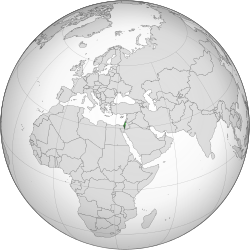 Wikimedia Israel works (or worked) with Hebrew- and Arabic-speaking middle and high schools in Haifa, Kiryat Tiv'on, Kfar Kama, Nazareth, Shlomi, Tamra, Baqa al-Gharbiyye, Hadera, Kfar Saba, Herzliya, Tel Aviv, Ramat Gan, Bat Yam, Holon, Beersheba, Hura, Midreshet Ben-Gurion and other localities. The program requires the students to choose a topic, which is not covered yet by the Hebrew or Arabic language Wikipedia, and write a Wikipedia article about it with the help and guidance of their teacher. Wikimedia Israel's team provide support and advice for the teachers throughout the process, and especially in the choice of topics, communication with the Wikipedian community and the upload of the prepared articles onto Wikipedia. Wikimedia Israel has collaborations with all major universities and academic institutes in Israel. This includes the Hebrew University of Jerusalem, Tel Aviv University, Haifa University, Technion, Ben-Gurion University of the Negev, Bar Ilan University, the Interdisciplinary Center Herzliya, Seminar Hakibuzim College, Levinsky College of Education, Sapir College, Ahva College, Holon Institute of Technology, Shenkar College, the Academic College Kineret, the Academic College Tel-Hai, the Academic College West Galilee, the Academic Center of Law and Science, Minhal College and Minshar School of Art. In these academic institutes, professors and lecturers include a Wikipedia-article writing assignment in their courses. The students write an encylocpedic article about a topic related to their course and upload it onto Wikipedia. The article is graded and incorporated in the final grade of the course. Wikimedia Israel's team provides assistance for the lecturers with regard to available topics, preferred writing style, technical issues and communication with the Wikipedian community. The “Valued Image” project (Tmuna im Erekh) is a cooperation between Wikimedia Israel and several high schools. Students with skills in photography, or those studying photography, are asked to take pictures of sites, monuments, people or objects that are not depicted yet on the Hebrew Wikipedia, even though they have an article about them. The project ends with an outdoor exhibition of the new images on posters, accompanied with explanations taken from Wikipedia. Online Wikipedia course for teachers - In the fall of 2014, Wikimedia Israel and the Center for Educational Technology started an online distance learning course about Wikipedia for K-12 teachers from all different sectors and disciplines. The course forcuses on Wikipedia literacy and principles of Wikipedia editing. Teachers take the course online on their own time and can consult a tutor when needed. The Ministry of Education recognizes the course as part of the teacher education program and coordinates the registration. More than 200 teachers have participated so far. Wikimedia Israel offers instructional materials and guides in Hebrew and Arabic about Wikipedia. The target audience is mainly teachers and students, but also members of the general public who wish to contribute to Wikipedia. Courseware for new editors - Wikimedia Israel initiated the development of a courseware in Hebrew that introduces the Hebrew Wikipedia to new editors, particularly middle and high school students, and explains how to edit it. The courseware is web-based and available on Wikimedia Israel's website. It requires prior registration on the Hebrew Wikipedia and entering the Wikipedia username on the courseware's page. Instructional film about Wikipedia - Wikimedia Israel and the Center for Educational Technology (CET) produced a film in Hebrew that introduces the Hebrew Wikipedia to the general public and explains how to navigate in it. A guide for school teachers - This guide in Hebrew offers information and advice for teachers on how to use Wikipedia in the classroom. It focuses on various aspects of the use of the Hebrew Wikipedia and their benefits for the learning process, and suggests numerous educational activities with Wikipedia, for example, comparing Wikipedia articles with textbooks, comparing Wikipedia articles in different languages (which the pupils can read), analyzing talkpages of articles about controversial issues, proofreading an article and other activities. A guide to writing articles about award winning scientists - A guide for teachers and pupils, which was originally written for participants of the science-oriented youths project. This is a step-by-step guide for writing biographies of scientists on Wikipedia. Guides for Arabic-speaking teachers and students - This page (in Arabic and Hebrew) includes links to guides in Arabic about Wikipedia and how to write Wikipedia articles. Their target audience is Arabic-speaking teachers and students and they are part of Wikimedia Israel's outreach program for the Arabic-speaking community in Israel. The guides are translation and adaptation of similar guides in Hebrew. Adaptation was required in order to accommodate to the difference between the Hebrew- and Arabic-language Wikipedias. Comics about reliable sources - Wikimedia Israel initiated the creation of this series of comic strips aimed at schoolchildren and explaining basic rules of distinguishing between reliable information sources and non-reliable ones. The comic strips and explanations are available in Hebrew, Arabic and English. The raw materials (for translation into further languages or redesigning) is available on this category on the Commons. In 2017, four Wikipedia editing workshops for senior citizens took place in major cities in Israel. These workshops are aimed at retired people who gained knowledge and experience throughout their career and wish to share them by writing Wikipedia articles. The workshops are open to senior citizens who have at least basic computer literacy and offers guidelines of dos and don'ts and technical issues regarding editing on Wikipedia. By the end of the workshop each participant should write at least one article, but some become active Wikipedians and continue editing. GLAMTLV2018 - In November 2018, Wikimedia Israel hosted the annual global GLAM-Wiki conference that brings together Wikimedians, librarians, archivists and museum workers to discuss further ways and methods to make human heritage more accessible and better preserved. The conference took place at the Tel Aviv Cinematheque and was attended by more than 180 people from 43 countries. Key speakers were Loic Tallon from the Metropolitan Museum of New York, Kate Zwaard from the Library of Congress, Ernesto Miranda Trigueros and Vania Ramírez Islas from the Ministry of Culture of Mexico, and Katherine Maher from the Wikimedia Foundation. Wikimedia Hackathon 2016 - The annual Eastern Hemisphere hackathon for Media-Wiki and Wikimedia projects' developers was held in Jerusalem in 2016. 130 developers from 18 countries came together for three days of joint work on 37 projects. Wikimania 2011 - Wikimania 2011 was held in Haifa. The conference was attended by 720 people from at least 56 countries. Two pre-conference days, devoted to various meetings and workshops, were followed by the three main conference days. An additional day of tours concluded the event. The participants were also invited to three parties. The conference received a wide press coverage in the international and local media. This was the biggest of Wikimedia Israel's early projects, involving many volunteers who were rewarded with excellent feedback from the participants. The official conference site. Wikimedia Israel's 10th anniversary - On 6 September 2017, Wikimedia Israel marked its 10th anniversary in the old city of Jaffa, inviting all activists throughout the years and representatives of major collaborators. On this occasion, Wikimedia Israel awarded trophies and letters of appreciations to people and organizations that helped promoting its goals. Among them, the University of Haifa, the Israel Internet Association (ISOC-IL), the former head of the Government Press Office, and the former Minister of Education. Wikipedia Academy Israel - This annual conference, held in Israel at the end of every academic year since 2009, is part of the global Wikipedia Academy project. Ever since its inception, it attracted the interest of a large audience of local academics, educators, journalists and the general public, and became a major forum for discussions about free content, education in the digital era, access to information, social and gender aspects of collaborative digital projects, citizen empowerment and, of course, the future of Wikimedia and other wiki-based projects. Wikimedia Israel receives suggestions and requests from people and various public bodies and supports initiatives related to Wikimedia projects and free content in general. The Association for Libraries in the Arab Sector (in Israel) asked Wikimedia Israel for a grant in order to hold a one-day seminar on Wikipedia with the purpose of introducing the Arabic Wikipedia to Israeli Arab librarians and encouraging them to start editing articles. After a successful editors’ meeting on the topic of image processing and lack of volunteers in the graphics lab an idea came up to run a graphics and image processing course for the chapter and Wikimedia initiatives’ volunteers. The volunteer’s application was approved, but is dependent on his ability to provide more information on the project plan. Detailed information in English is available on Wikimedia Outreach: Education/Countries/Israel. Academic courses - Wikimedia Israel cooperates with lecturers and researchers in 15 academic institutes across Israel. At the center of this cooperation are accredited courses about Wikipedia, in which the students learn about Wikipedia and experience editing of Wikipedia articles. There are also academic courses about various topics and in various disciplines, in which students are required to write a Wikipedia article as part of the course's assignments. The lecturers and students of these courses contribute valuable academic content in their fields of expertise to the bulk of free accessible knowledge available to the public. The students participating in these courses are Hebrew- and Arabic-speakers (as a first language). A special website, Wikipedia in Academia, is available since 2017 for lecturers who wish to join the program. Students Write Wikipedia - Wikimedia Israel cooperates with the Israeli Ministry of Education (MOE), the Center for Educational Technology (CET) and 20 schools and educational institutes across the country in an effort to turn pupils from passive readers of Wikipedia into active editors. This is part of the active learning concept, namely the editing of Wikipedia articles engages the pupils in an activity that enhances their learning process. They develop strategies of information assessment, digital literacy, writing and research skills and other abilities. Both Hebrew- and Arabic-speaking students participate in these projects. Teachers' training course - An online course for teachers about Wikipedia was created with the help of the MOE's Pedagogic Secretary and CET. Hundreds of teachers, teaching about 10 different subjects, have taken this course so far. Follow this link for information about the course. Written guides produced by Wikimedia Israel for teachers are listed in the section instructional material above. Wikipedia Academy 2015 was dedicated to the role of Wikipedia in education, see a detailed report about the event. Wikimedians can borrow from Wikimedia Israel a professional camera with a tripod or a computer equipped with OCR software (for scanning public-domain texts). During 2018, Wikimedia Israel applied to join the Round-Up project, which encourages people to round up their credit card transactions to the nearest shekel and donate the extra agorot to an NPO of their choice. Following a process of due diligence, WMIL's application was accepted and a campaign was launched to convince people to choose WMIL as the target organization of their micro-donations. This page was last edited on 11 February 2019, at 11:05.